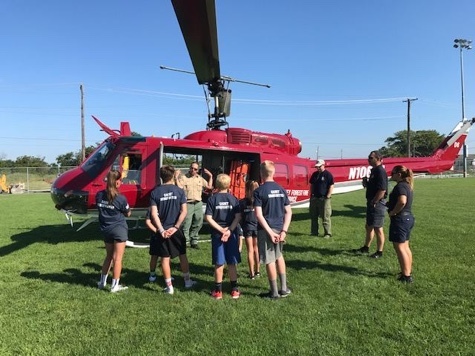 During the week of August 7-11th the Wildwood City Fire Department held our first ever Cadet Firefighter Summer Program. There were 28 children who participated in the program. 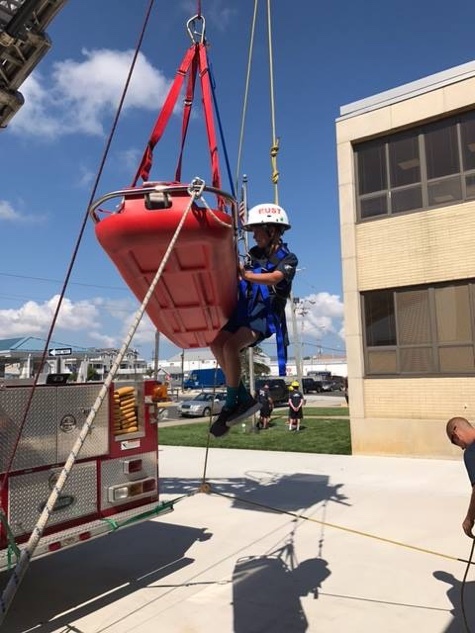 The Cadets received training on various Fire, EMS, and technical rescue disciplines. 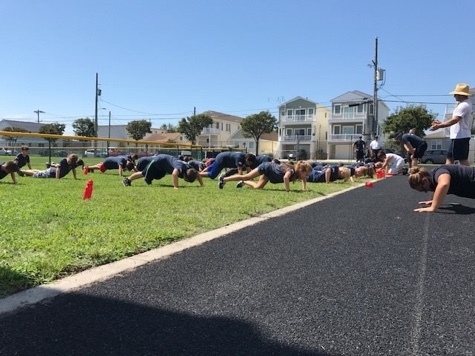 Special thanks to Atlanticare Paramedics, NJ Forest Fire Service, Wildwood Police Dept, Wildwood Communications Officers Volpe and Staples, and Wildwood Beach Patrol for assisting on various days of the program. 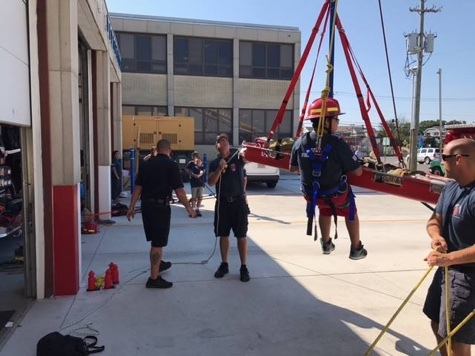 The week was a huge success and ended with a graduation ceremony on Friday. 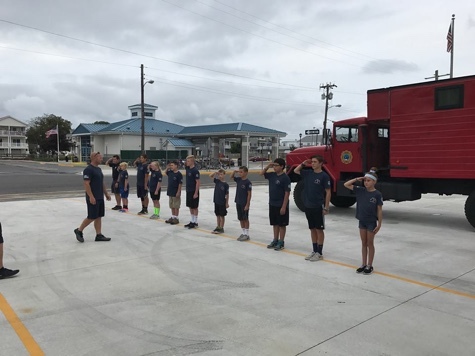 The cadet's "presented" the colors for the flag salute with their very own honor guard which was formed during the week. 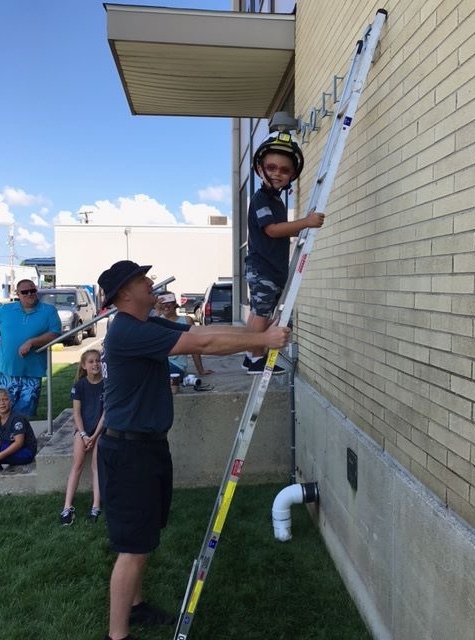 A special part of the program was ...when 4 year-old Wildwood Crest native Jackson Mitchell was sworn in as the Honorary Fire Chief for the City of Wildwood Fire Department complete with his own helmet, badge and toy fire truck. His wish of being able to go on a Disney Cruise was also tentatively approved by the "Make-a-wish" foundation. Jackson has a degenerative eye disease which is causing him to lose his eye sight and will soon be completely blind. 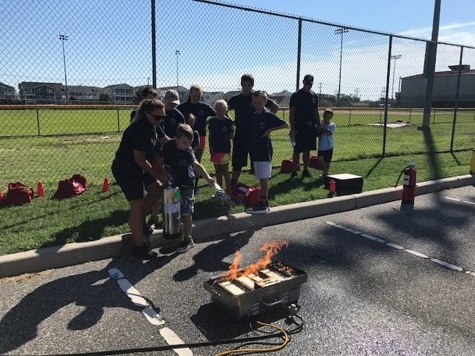 Special thanks to all the firefighters who volunteered their time for the program, Firefighter William Cripps who was the CADET program coordinator, all the supporters including Commissioner Leonetti who made this program possible, Chief Stocks and the members of the Wildwood Beach Patrol and to John Lynch of the Lunch with Lynch program who gave the gift of the toy fire truck.